The National Archives released the 25 files including "a lengthy briefing on UFO policy to then prime minister Tony Blair's office" with a job description of "weirdest job in Whitehall (shorthand for Britain's civil service)." Britain UFO desk officer released the files about the briefings on unidentified flying objects (UFOs). According to the former UFO desk staff, "top secret teams of specialist scientists scurrying around the country in a real life version of the X-Files" was "total fiction", which closed in 2009. 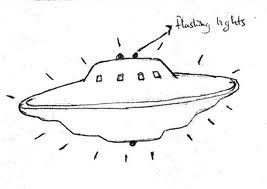 The investigation about UFO sighting by a police officer at Chelsea stadium and the visit by three "men in black" to a person who reported a UFO encounter in Lincolnshire is also included to the "X-Files." The files about 1995 briefing by one of the defense ministry's UFO intelligence officers which speculated on why aliens would visit earth, is also included. The releasing of "X-Files" documents came after a request by the author of the book The UFO files, David Clarke. Clarke said, "These records allow us to look behind the scenes of what must have been one of the strangest jobs in Whitehall." He said, "We now have a fascinating insight into some of the extraordinary reports and briefings which passed over the UFO Desk on a daily basis and how its officers used logic and science in their attempts to explain 'the unexplained'." Comments or suggestions about "UFO sighting over Chelsea stadium revealed" is important to us, you may share it by using the comment box below.